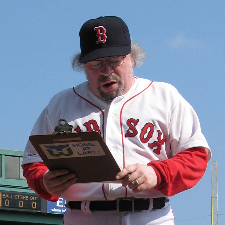 Carl Beane, the public address announcer at Fenway Park, has died after a car crash in Sturbridge, MA May 9. Our thoughts and prayers are with Carl’s family during this difficult time. Fenway Park will no doubt never be the same and it will take time to adjust to a new voice announcing Red Sox games at the park. Carl, you will be greatly missed! 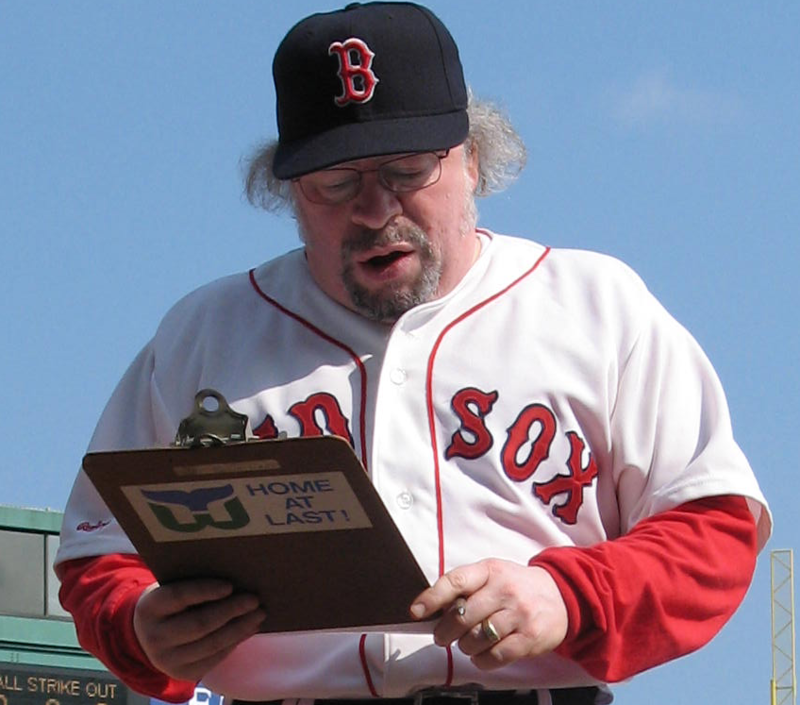 And yes, that is a vintage Hartford Whalers “Home at Last” sticker (from the days of the ’91 Club) on the back of Carl’s clipboard in the picture.